The key to increasing your awareness of Synchronicity is to practice each morning reminding yourself that it exists, and then immediately begin to look for its appearance in your life. Synchronicity usually operates in a sequence. First, you identify an Intuitive thought or hunch that suggests a course of action that will move your life forward. Don’t be too introspective here, just be aware of the thoughts that come to you and seem necessary to pursue. Second, when you follow the intuition and take this course of action, you find yourself in a place where a Synchronicity occurs. In turn, it gives you just the information and clarity you need at the moment. The Universe is designed to help you, but you have to pay attention. However, it is also important to do the preparational work the night before. Don’t go to sleep until you have reviewed what is happening in your life. You should ponder daily the life questions you have (discussed further below). 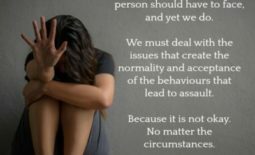 All of us, at any one time, face particular problems and need solutions. We also have short and long term goals concerning our dreams of our future. The idea is to simplify the sense of where you want your life to go, and to identify the confusion that comes up relating to how to get there. Try to find the most pressing question and focus there each day. 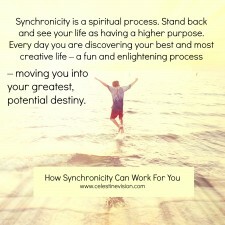 It’s also helpful to remind yourself that Synchronicity is a spiritual process. 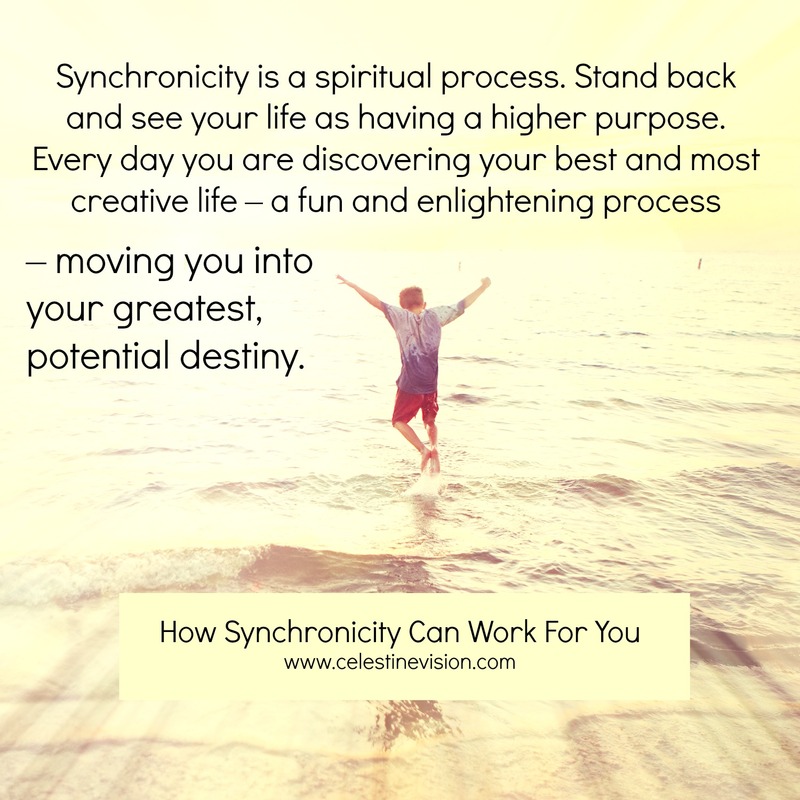 If you can stand back and see your life as having a higher purpose that you are being guided toward, then the idea of Synchronicity becomes REAL. 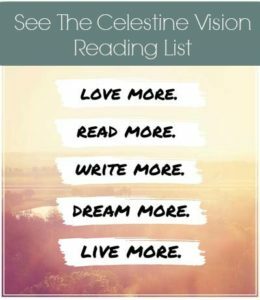 Every day you are discovering your best and most creative life – a fun and enlightening process – moving you into your greatest potential destiny. To start a true awareness of Synchronicity, it seems to work best when you identify the most urging question you face at the end of the day. You can sleep on the matter and see what turns up to you in the morning. By doing this, you’ll often find that your mind will move into a greater clarity, and the question has morphed into a more evident form. When you wake up, the goal is to see what presents itself to you in a way to deal with the challenge at hand. Intuitions (ideas) will show up if you let yourself doze for a while in a twilight state, between sleep and being fully awake. Again, you are looking for an intuitive thought or a hunch of some kind that might result in a Synchronistic answer. Stay with this effort as long as you can each morning. Sometimes, you’ll find that during a shower or talking on the phone, when your sensible side is attentive to something else, your intuition will break through into consciousness. Other times, it will occur while exercising or driving to work. The important thing is to just lightly hold your question in mind as you go through your day until you receive an idea of how to pursue this direction in your life. A true, intuitive thought will always suggest going to some distinct place, contacting a certain person, or investigating an interesting source of information. This could include television, the internet, books, or even the memory of something you heard someone say earlier. Once you have a course of action suggested naturally, you can then use your rational mind to plan out your next step and fit it into your other responsibilities for the day.